What is MikuMikuPlus? What does MikuMikuPlus do? How can I download MikuMikuPlus? How do I install MikuMikuPlus? 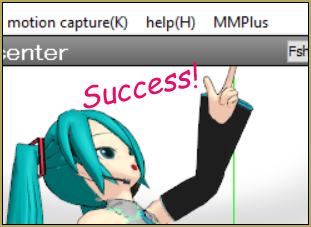 Recently, there’s a new MMD plugin available called MikuMikuPlus to make your MMD adventure a lot easier. The plugin is created by by 猫のしもべ (Nekonoshimobe)! Credits to zeezeenyan on DeviantArt for introducing me to this plugin and its functions! More functions are still being added to the plugin! How do I download and install MMPlus? There’s a preview of the plugin on NicoVideo and the latest version (1.6.2) in English can be downloaded on lenaantler’s page on DeviantArt. To get the plugin, first download the zip file from the link on DeviantArt. 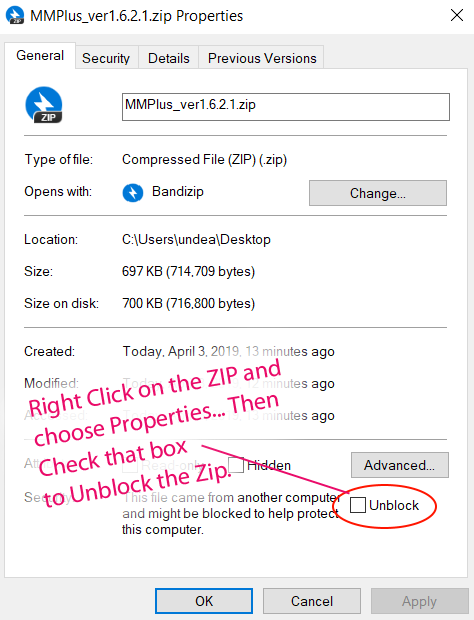 Then, make sure you unblock the zip file before extracting by right clicking the Zip, choosing Properties, and then checking Unblock and apply… and OK! 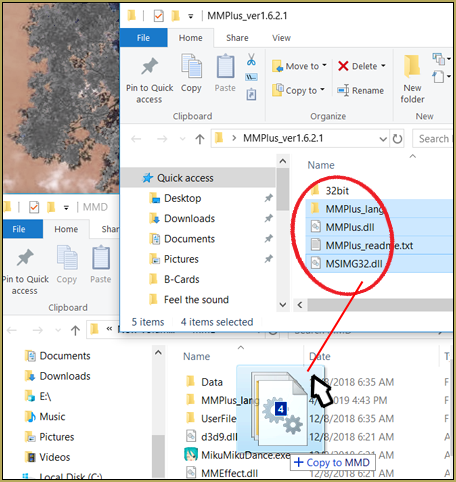 Double -click the Zip and choose Extract or Extract All… and OK the defaults to get the MMPlus folder. Now, drag-and-drop the MMPlus files into your MMD folder, make sure it’s in the same folder as your MikuMikuDance.exe. 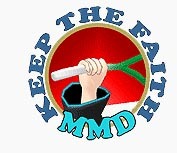 -If you’re using the 32bit MMD, use the MSIMG32.dll that’s in the 32bit folder instead and use the same MMPlus.dll! That Readme.txt file is in Japanese. Learn how to translate that readme into your language. 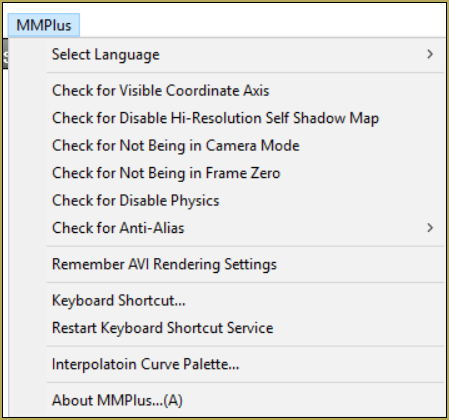 Finally, open up MMD, and if you’ve done it correctly, there should now be a menu called “MMPlus” on your toolbar on top! You can disable and enable functions at any time by clicking on the items in this menu! That’s what MMPlus has to offer now! Hurry and download the plugin and experience it for yourself!